First time I saw the sun light pass through the small hole on the vault of the cave that reflected beautiful green color on the surface of the sea within the cave, I was only 7 sailing with my father. Now 20 years later I still enjoy watching the same phenomenon as the first time that it captivated me. And I enjoy sharing this beauty with anyone who comes along with me. 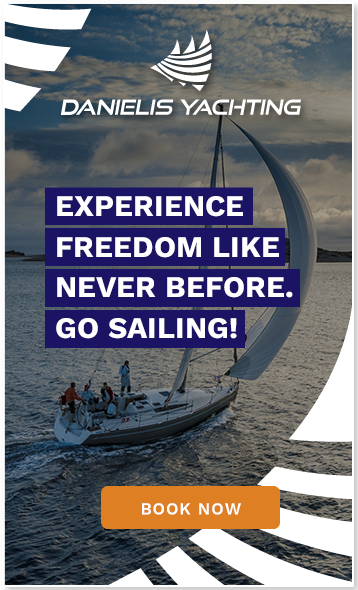 You may reach the cave either by sailing boat or simply swimming into it. You can take snorkels and dive in to see the beautiful underwater world. 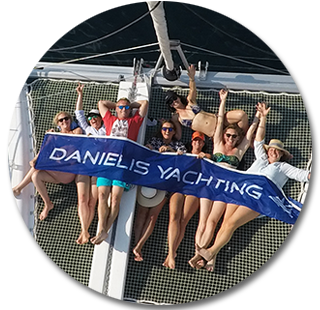 Contact us at Danielis Yachting and our skippers will provide interesting stories and fun facts about the places you're about to see so you can learn something new to tell to your friends beside the natural beauties.